Championship and League 1 Clubs resurrect the Yorkshire Cup in 2019. The competition commences in 2019 and will incorporate an 8-team competition played over three consecutive weekends in January. Each and every game will be full of the passion of a Yorkshire Derby as every side strives to win a most historic competition. It’s a battle for supremacy of the ‘trophy and will add extra spice to a traditional period of friendlies. 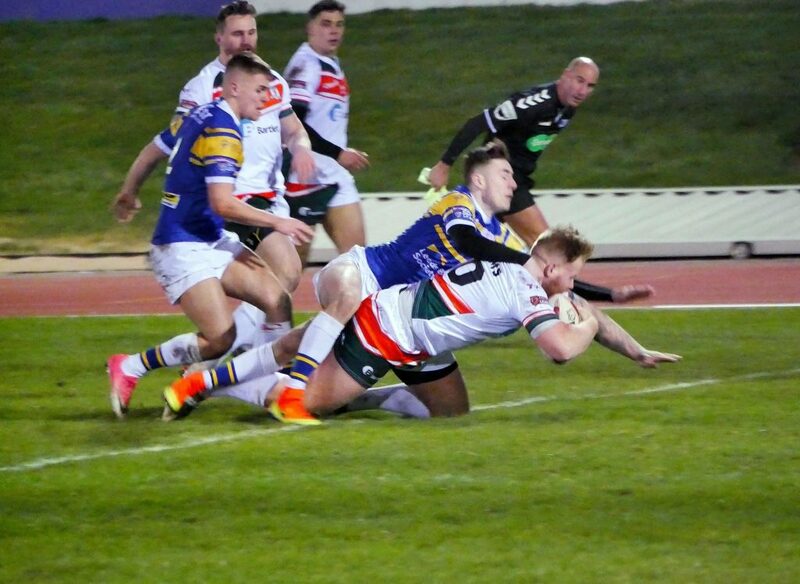 South Leeds will be represented by two teams as semi professional Hunslet RLFC are joined by amateur Hunslet Club Parkside who swept all before them last season, their first in the top flight of the community game. Halifax will start the competition as favourites after their excellent 2018 season as they look to build to what may well be promotion to Super League in 2019. Featherstone, Batley and Dewsbury will be aiming for the silverware as they prepare for a hotly contested Betfred Championship 2019 season as will newcomers York City Knights and Bradford Bulls. Hunslet, who have recruited strongly for their challenge in Betfred League 1, will be out to cause cup upsets in what will be a hotly contested tournament. The introduction of the Hunslet Club Parkside team will provide neutrals with a team to follow and hopefully first sight of future superstars. “As part of a show of solidarity and to encourage supporters of all clubs to attend as many games as possible, the Clubs have agreed to share equally all gate receipts from every game over the 3 week period. In addition, we are expecting that the games in week 3 will all be played on a different day to the Yorkshire Cup Final to encourage everybody to attend the Final whether their team is in it or not, in the full knowledge that their support at that game will benefit their club financially as well as hopefully witnessing everything that a Yorkshire Cup Final will bring as a rugby league spectacle. Semi Finals line up will be drawn immediately following the Bradford v Halifax game at Odsal and will be played SF1 12 January & SF2 13 January 2019, details to be announced after draw. The Yorkshire Cup Final will be played on Sunday 20 January 2019. “I think the concept of competitive games in pre-season is great for all the clubs involved and their fans. From our perspective it will be really good to gauge ourselves against quality opposition, and we are really looking forward to our opening fixture and testing ourselves against Championship outfit Batley Bulldogs, especially with a place in the semi-final of a cup competition up for grabs. Being a Yorkshire Cup, all games are derbies and hopefully that will generate a derby atmosphere on and off the pitch. The tournament is being sponsored by K2 Mechanical & Electrical Services Limited and Berry’s Jewellers of Leeds have kindly donated the Trophy. Hunslet RLFC have also announced that the traditional fixture against Leeds Rhinos for the Harry Jepson OBE Memorial Trophy will be played on Sunday 3 February 2019 at South Leeds Stadium, kick off 3pm.